HRC designed, developed, tested and implemented a quantitative methodology to incorporate upstream regulation effects (reservoir releases and inflows, import and export flows from the river system, etc.) and uncertainty into the National Weather Service Ensemble Streamflow Prediction products. The developed Upstream River Regulation Accounting methodology was implemented within the CHPS environment for use by NWS RFCs. 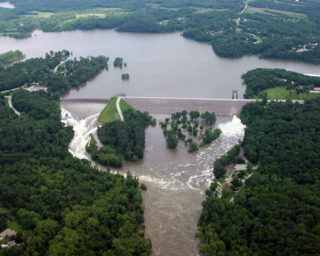 The project involved three training workshops at the California-Nevada River Forecast Center, Arkansas-Red Basin River Forecast Center, and the National Weather Service Office of Hydrologic Development.